Happy birthday … Harry Potter Fan Zone! In the early hours of 22 December 2003 a little known fan site appeared online. It looked something like this. From the idea that “it would be cool to make a website“, HPFZ was born. Since that day we’ve been covering book launches, movie releases, nonsensical rumours and everything in between. It’s been a blast. Now entering our seventh year (see what we did there), there’s much to come. There’s plenty left in the Potter franchise, including a theme park, two movies and a potential encyclopedia. Site wise, there is also plenty on the horizon. Stay tuned! Finally, a big thank you to all the folks who’ve helped out with the site these past six years. Kudos to you all. Great to see a new post! Love the Christmas look the site has, and its great to see that the forum will be up in January! Andy, it seems like yesterday HPFZ opened! That is truly amazing that you have made it this long! Best of luck this year with the website! By the way, I still love the original HPFZ layout! 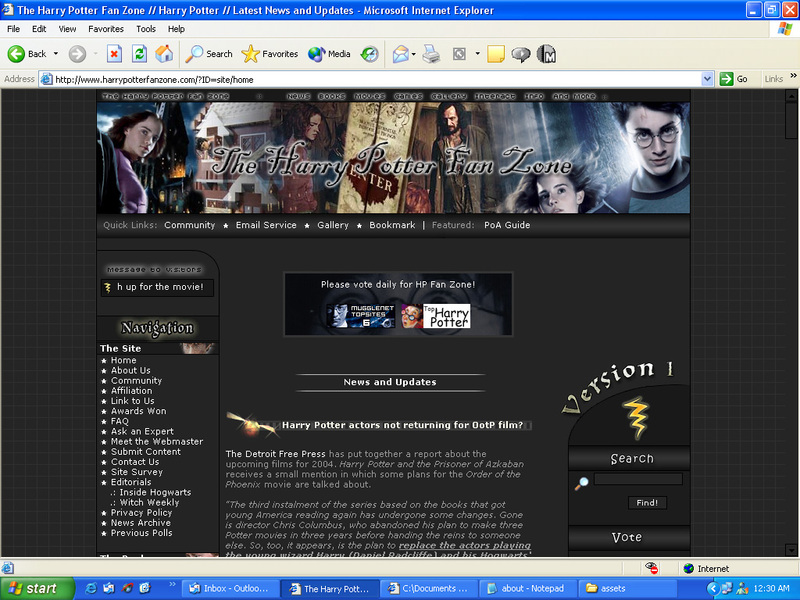 Congratulations all at Harry Potter Fan Zone for a great site and the wonderful job you all do. I always keep coming back and checking this site to what is happening. Happy Birthday (belated) and I hope you keep going. It is great to have a site like this in Australia. All the best for the future!!!! Happy birthday HPFZ; and congratulations to you, Andy, on these last six years. Here’s to the next six!